We’ve been spending weekends getting ready for a big move. The prospect of SoNailicious having a new, bigger office is really exciting, but at the same time it doesn’t leave much room for weekend nail art endeavors. 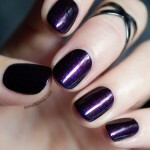 So today I’m simply showing a favourite new arrival in the SoNailicious Boutique – Dance Legend 915 Burgundian Sky. It’s one of 12 polishes from the Rich Blacks collection which consists of coloured glitters in a black jelly base. 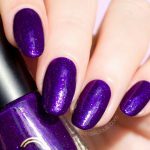 Not your usual jelly glitter, Dance Legend 915 Burgundian Sky is a wild combination of glam and grunge. 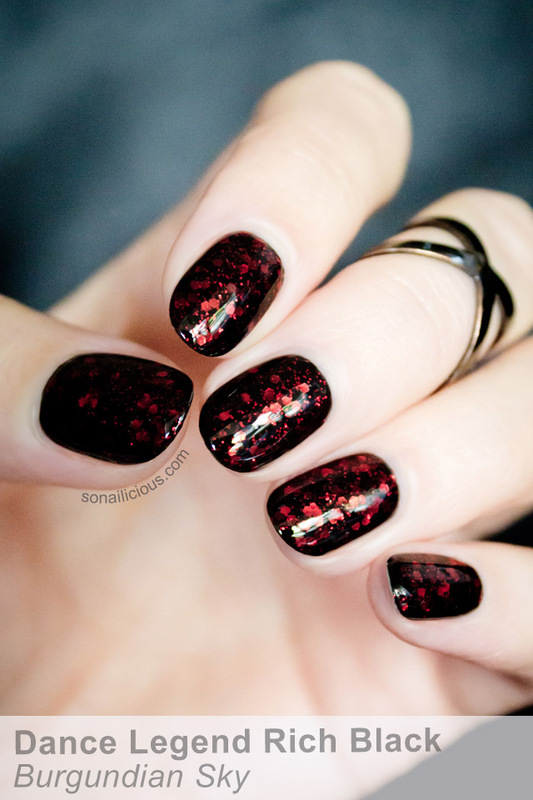 Great density, bright red glitter and highly pigmented black base yield a beautiful effect – black nails with a scarlet sparkle. It’s quite easy to apply too. 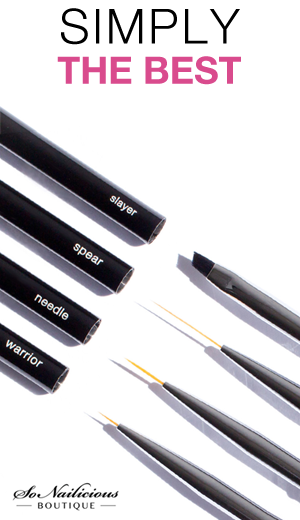 Pictured is only one coat of Dance Legend Burgundian Sky over one coat of plain black polish. 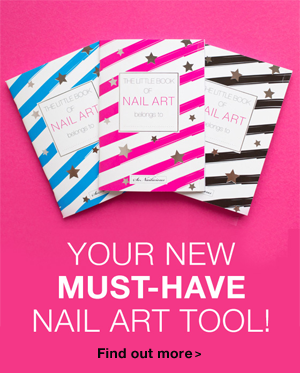 So, if you’re like me love good-old black nails or looking for a glam polish special occasion, I highly recommend to check out the Rich Blacks collection and Burgundian Sky, in particular. 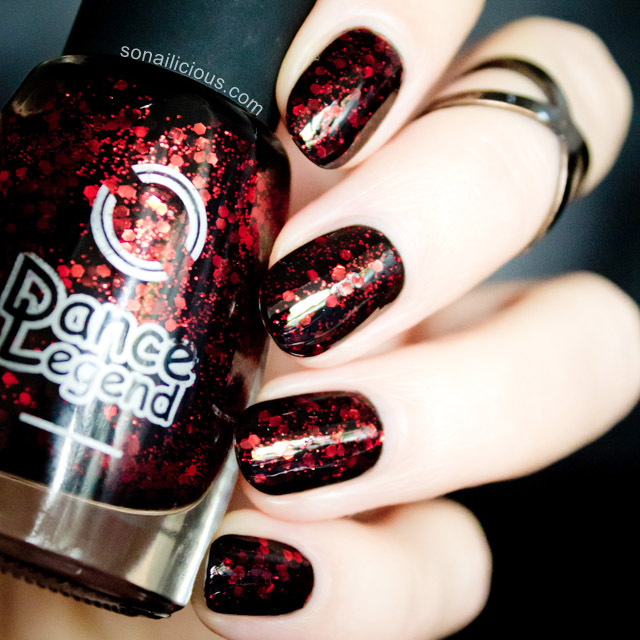 Available: Dance Legend Burgundian Sky, $12.90; also, check out Dance Legend Christmas Eve 919 (holographic), $12.90. 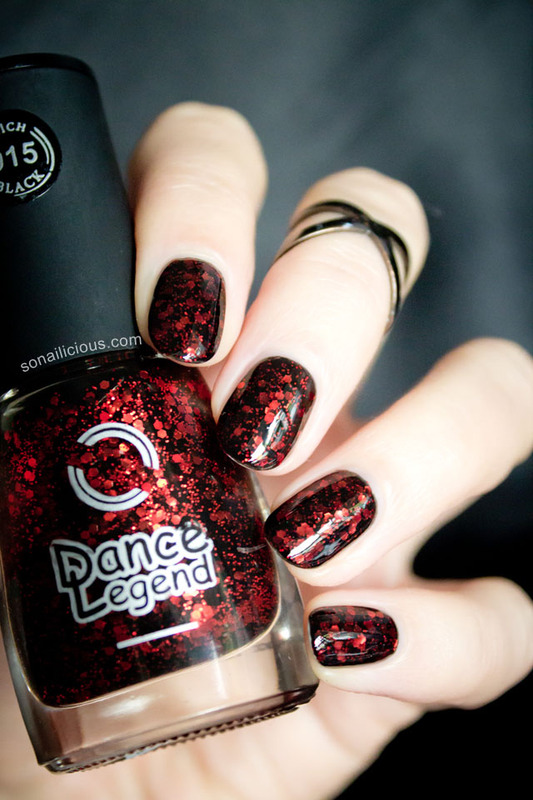 Have you tried Dance Legend Rich Black polishes before? What do you think about Burgundian Sky? Stay in touch by subscribing to our Weekly Newsletter or follow us via Bloglovin for daily updates.